The surgeon heaved a sigh of relief, obviously sweating. “It was touch and go.” The theatre staff looked at him apprehensively, holding their breaths. “She will live. And although it is early to predict, if there are no complications, she’ll recover completely”. The theatre doors open and three men walked in. 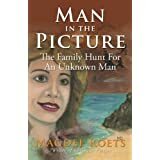 The doctor stared at them, stunned, the sister in charge opened her mouth to speak and chase the intruders out, but stopped in her tracks when one of the men aimed a firearm at her chest. Then the Earl spoke. “Wrong, doctor, she died on the operating table, just minutes ago. That is the message you will send out to the world. Do it now, while my medical team takes over from here.” He looked through the room, looked everyone in the eyes and said: “If anyone contradicts the doctor, there will be consequences. The world will learn that she has died in a car crash tonight. Is that clear? We know who you are. We know where you live, we know the blood type of your children. One word and you’ll regret it for the rest of your lives”. One movement with his hand and a medical team entered the theatre to take over the medical care of the patient while the two body guards shooed the medical team out of the theatre into a room down the passage. They were guarded for half an hour, then taken to a press release room where the doctor made the dreadful announcement that the most popular woman in the world has died. The rest of the medical team nodded and looked glum. After the press release they were ordered to complete their reports and finish the admin, all the time heavily guarded. Three hours later they were escorted out of the building and ordered to go straight home. Meanwhile in the theatre the patient was carefully removed to a recovery room on the far side of the passage. Before the medical team of the hospital left for their homes, the patient was taken out of the hospital through an unused back exit, into a waiting ambulance straight to the airport where a private jet stood ready for take-off. Ten hours later the jet reduced altitude and landed smoothly at an airport on the south-eastern coast of South Africa. Ten years later. After several plastic surgical procedures, months of studying language, culture, traditions, ten years of learning new skills, ten years of developing a new identity, the lady was ready to be released into the new world on her own. A new life was now hers to seek, to build, to live. Dienie de Jager was on her way. She had decided to leave the coastal area for the country side. She did not renew the rental contract for her apartment, the furniture and most of her household goods she donated to Hospice. All she took with her was her clothes, a few pieces of jewellery and some personal items. Freedom at last! Free from the paparazzi. Free from body guards and personal staff. Free from eyes watching her every move. She opened the window as she drove off in her new little white Honda Ballade and let the wind blow through her dark brown, shoulder length hair. Admiring the scenery, she went through one town after the other, up the mountain pass and decided to leave the highway. She turned off to the left and booked into a small hotel in a small town just across the Kwa Zulu-Natal/Free State border. To test her Afrikaans, she stayed there for two days. As soon as people started to ask personal questions, it was time to move on. And so she went from town to town, soaking in the culture and perfecting her accent. By the first sign that her English accent was noted, she moved to the next town. The Free State was a friendly place, especially the bigger towns, where she could maintain an amount of anonymity, which was necessary. But she was lonely. Trained for ten years not to trust anyone and to keep distance whenever possible, had its effect. And as always, complaining to her brother, the Earl, he jumped on his plane and visited. Sometimes alone, sometimes bringing her children, who had learned the truth and were sworn to secrecy for the sake of all mankind. Still, it was not enough. The longing for friends, real, long term friends, a place to settle and take root, her need to belong, grew stronger as time passed. After five years of touring the whole country, staying up to six months in one place, she decided to go back to the Free State. It was autumn, the leaves were all kinds of red, orange and golden as the afternoon sun caught the tall poplar trees, casting long shadows, she drove slowly into the small town of Clarens. The air was fresh and cool and stirred up long lost memories of her homeland. She needed a tea break, her car needed fuel, and the place was so charming, so inviting, she had to stop and explore. As she got out of her car, the aroma of fresh, brewing coffee lured her into a corner coffee-café some ten yards away. “I said, you parked down-wind and smelled the coffee, did you not?” The short, plump lady behind the counter smiled broadly. “Come, get a table and I’ll pour you a nice big cup full. And what about a scone? I baked them myself and it comes with jersey cream and jam that these two hands have cooked, by the way, my name is Doris, what’s yours?” she said and held up her hands for the visitor to see. “Sounds wonderful. I can do with a bite to have with my coffee.” She sat down at a small table for two, close to the kitchen. Minutes later the coffee and scone was delivered. In all the time touring South Africa, she had never tasted a better scone, better cream or better jam than this one. What she liked just as much was, differently from other small towns, no one paid special attention to her. A few other coffee drinkers nodded a greeting, but most people hardly took notice. Anonymity. Which meant she could stay a while. And so she stayed. Quite a while. Four years, to be precise. And then it happened. It happened like this: She was sitting at her regular table in the corner coffee-café. A man entered and looked around to find an empty table. All tables were occupied. Suddenly his eyes caught and held hers. She gave him her famous, shy, half-smile, then obscured her face by taking a sip from the enormous cup. He looked away, started walking away, bumped into the counter and almost knocked over a waitress with a loaded tray. “Dienie, de Jager, pleased to meet you and, no, I don’t mind you or Doris at all. Welcome to my table.” Three hours later they said good bye with a promise to meet again for lunch. And they did. After a few weeks, Henk invited her to visit his farm. She had learned he was a widower; his wife had died in a car crash six years earlier; his sister on the neighbouring farm helped him raise his three children and he farmed with cattle, sheep and mealies while at the same time kept his wife’s home industry shop running under management of a good friend of his late wife’s. A year later, Henk banged on the door of the cottage Dienie was renting on the edge of town. Five years later. Dienie sat at a table for two close to the kitchen in her favourite corner coffee-café. A man entered, looked her in the eyes and sat down opposite her. “Hello, Henk.” He took her hands in his, rubbed her fingers and smiled. “Thank you, Sweetheart, for choosing this place, this table for our fifth anniversary.” She smiled that sweet, shy, half-smile while he rubbed the rings on her left hand ring finger. “Yes. And now it’s time to come clean. I’ve always known. From the very moment you looked at me and smiled. That moment I knew you were the famous lady, I just couldn’t figure out how.” She paled a little. “I did. And I’ve been in love with her ever since I saw her picture the first time in my sister’s magazine.” Colour returned to Dienie’s Delport’s face. “I love you, Henk Delport. But wait till I tell the Earl”. “Here he is, right on time.” Dienie jumped up when she saw her children entering behind her brother. Then she turned to Henk. “Thanks for a beautiful anniversary gift.” They all left together to spend time on the farm. Dienie de Jager Delport, with her husband, children and brother. My Father’s will was excellent. The characters stay with one long after reading it. Can not wait for the next one. Stephan Howard Hammond knew he could count on his children to squander the fortune he would leave them in his will. His anguish over their future left him no choice but to find someone dependable to provide for them when the money ran out. This meant he had to reveal some deep hidden secrets, not knowing what the effect would be, unaware that Francine had already discovered part of the truth. Struggling through her own shock and disappointment she decided to keep quiet about what she had found until it was too late. With more secrets revealed, she must still go through with the plans her father’s will provided for her, even though it required her to watch her brothers and sister throw their inheritance to the wind, and withstand her unsympathetic treatment of her. Back in their apartment Liza opens her sketchpad and sits down to finish her sketch while she can still remember the features of the man in the gallery. Joni joins her at the kitchen table with steaming cups of hot chocolate. Liza has a remarkable talent to lay down a recognizable portrait in a matter of minutes. At this moment, Joni watches her finalizing the detail of a face she has seen only for a few minutes. The shadow around the eyes emphasizing the intense concentration with which he studied the painting on the wall in front of him, the shine of the hair as the light caught it on one side, the half-smile on the lips; the finished sketch, a perfect image of the face of a man she might never see again. “Still. Even if I try it, I’ll never be as good as you. It’s a God-given talent”. “Glad you like it,” she said humbly and closed the book to prevent more praises that embarrassed her. She rinsed her cup and put it away. God-given talent, Liza thought. When did Joni become religious? An elderly lady dies with the picture of a man in her hand. No one in the family knows who this man is. The hunt for the identity of this man sends the family on a hunt that takes them all the way back in tome to the day the city of Rotterdam in Holland was attacked by Nazi Germany during the Second World War. In the end the mystery was solved in an unexpected way resulting in life changing events for more than one family.